Very big, lasted about 8 seconds, very bright, appeared close. -Liza W.
Sorry, My location is Kingwood, Tx.The Fireball was traveling West to East low in the Southern sky before breaking up into several pieces. Piedras Negras, Coahuila de Zaragoza arrived from google.com.mx on "Latest Worldwide Meteor/Meteorite News" by searching for light fell from the sky yesterday day over texas. Not sure it was a Meteor but at around 9:00 pm on June 29th 2011. At the Naval Airstation in Corpus Christi, Tx. Four of us saw a ball of fire that seemed to be commig from the sky, traveling against the wind. It was traveling from NW to the SE, it was blueish and seemed to be falling apart.. Date and Time of event? Location name (town,city) where you were when saw the meteor? Start and Stop location in sky? Direction of movement? Duration of Event (seconds)? Brightness ( in comparison with Venus, Moon, Sun) color, sounds? Photos? Videos? please email LunarMeteoriteHunter@gmail.com Your reports make it possible for all to check what they saw as well. Thank you! Thank you Elizabeth! Great video! I am writing to report a fireball like siting in Ocean City, Maryland June 29 2011. In a southern sky around 11 pm, I saw a bright red orange fireball, not as large as a full moon. It had multiple red orange bright burning like small trails that continued for about 15 seconds . 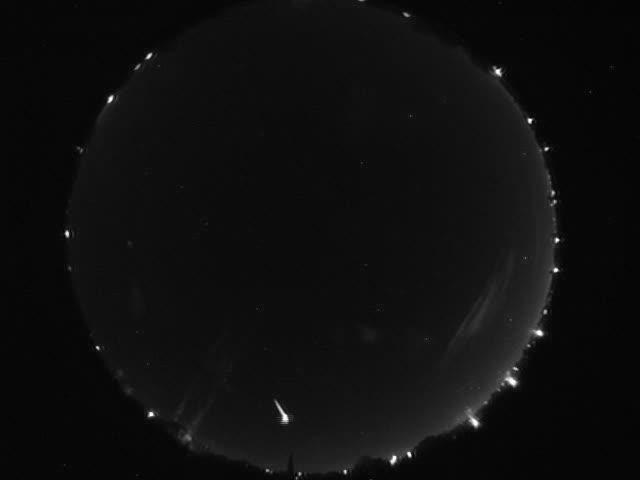 The main fireball, then started to become smaller as it continued across the sky in a southern direction . It seemed to dwindle to nothing and then reappeared once more at this point looking like a giant star and continued again until it just disappeared . All in all , From when I first noticed it to when it ended lasted about what seemed to be 1 minute . Chad Hutchinson: A friend and I witnessed a very long event around 11:27pm on June 29,2011. Sitting in south Ocean City, NJ, we saw a red light in the sky coming over Strathmere. As it continued north,it changed to orange and began to lose pieces. It left a trail of small burning particulates and a smoke trail. It disappeared twice but rekindled each time. It finally burned out after about 2 full minutes. 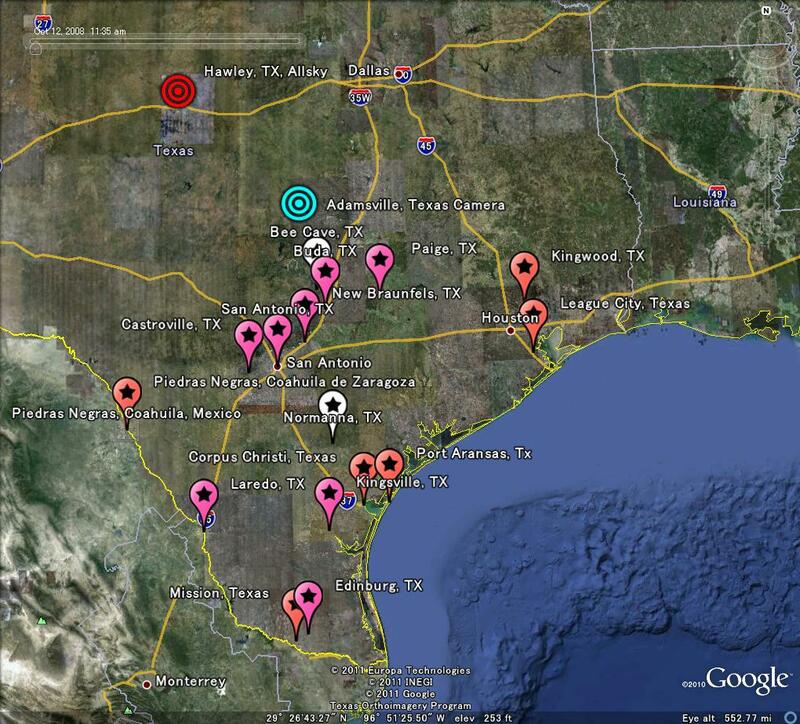 LunarMeteoriteHunter@gmail.com Your reports make it possible for all to check what they saw as well. Thank you! Date and Time of event? Location name (town,city) where you were when saw the meteor? Start and Stop location in sky? Direction of movement? Duration of Event (seconds)? Brightness ( in comparison with Venus, Moon, Sun) color, sounds? Photos? Videos? please email LunarMeteoriteHunter@gmail.com Your reports make it possible for all to check what they saw as well. Thank you! 2011 Year of Meteors! I saw a large orange red fireball as big as the moon. It was visible over Peyia Valley in Cyprus. I was facing south south west at the time and it was visible for about 45 seconds from me noticing it. Totally silent. Whilst I was watching it shrank to half the size in an instant but then it very slowly started a descent into the valley but then just before it disappeared it looked like it had exploded. Hope this info was helpful for your research. Please note that the time was Thursday night early hours in the morning of Friday 24th June 2011 and that this was Cyprus time. Regards, Julie R Thank you Julie! standing out looking nake eye at the sky. The train event　was outstanding.The train went from white to a rust red back　to white before decaying.The best such event I have observed　this year. We(3 persons) saw a very bright GIANT "starfall", time duration: about 2 seconds. Fallowed by lightning all over the sky, looked like flashes -Time duration: about 4 seconds. our point of observation. Hope this helps,-curtisz Thank You Curtisz! I saw the meteor on 27 June 2011 at approximately 23:30 (ish) whilst in Jonkoping, Sweden. I've seen meteors / comets before, but this was something else. It was so close it was unbelievable, and looked more like something out of a movie. My girlfriend who was driving at the time didn't see it and still thinks I am making it up!! I saw it from Sweden too! Amazing, too bad I didn't caught it on video! -Anon. "Kyseisestä kappaleesta on saattanut pudota meteoriitti, mutta on yhä mahdollista että kohde on palanut loppuun ilmakehässä", tulipallotyöryhmän matemaatikko Esko Lyytinen sanoo. It was not 2011 MD. Thank you Jake! I saw a fireball from my bedroom window about 5:20am on June 27 2011 traveling in a northwest direction. Guest160 (guest):Approx 6.30pm this evening Gisborne, New Zealand I saw a shooting star and something flew off it. Going from approx NE to NW. ? I'm in Bedfordshire, UK and last night at around 9.40pm my son and I saw an bright orange, spherical object travelling across the sky in a North Westerly direction. It was as clear as a bell and was, most certainly not a plane. The sky was incredibly clear last night and we could see planes all around. It was visible for some time as it travelled the length of the sky (incredibly fast) and it's trajectory was certainly a downward direction. I have never seen anything like it before and am familiar with shooting stars, meteor showers and the like. I am in Pretoria, South Africa. Saw at 06H07 this morning a meteorite or something. It was travelling VERY fast, very low. lower than the average hight of a plane. Saw a VERY bright light as it was burning. Was moving in a eastern direction to the free state area. IF you see a meteor please let us know; your information is important. Thank you! Asteroid 2011 MD Today 27JUN2011 to Pass NOT Kiss! Video by Italian observers Rolando Ligustri and D. Da Rio starting at 10:16 p.m. local time. southern and eastern Asia/ western Pacific. approach so I wont get to see it then. Grumble. At any rate, what follows is a compilation of all my 2011 MD animations. left. 2011 MD moves from upper left to lower right in all but the last two. UT. Distance from Earth about 123,000 km. Tracking sidereal rate. Same as above (2011MD-04.GIF) but plays faster. Same as above (2011MD-06.GIF) but plays faster. IF you happen to see a meteor we want your report please! Thank you! Your reports make it possible for all to check what they saw as well. Thank you! Early morning meteoroid June 26, 2011 at 0453 PDT (1153 GMT) over Yuba City, California. June 26, 2011 at 0453 PDT (1153 GMT) over Yuba City, California. Thank you Larry Stange for your dedication to running a Sentinel Allsky Camera and for reporting your findings! Location name (town,city) where you were when saw the meteor? Start and Stop location in sky? Direction of movement? Brightness ( in comparison with Venus, Moon, Sun) color, sounds? Your reports make it possible for all to check what they saw as well. Francis Graham, holding the movie and Cosmostrator model. This is one of my all-time favorite sci-fi movies. I made a model of the Cosmostrator. "I love this movie!" It's also featured in Jack Haggerty's book on Spaceships. I have the DVD, but now that you have placed it on the web, I will send a link to all my friends! Francis G. Graham is Professor of Astronomy and Physics at Kent State University, who founded the American Lunar Society in the 1980s. Breaking News Story; we need your confirmations and reports by email. - IF you saw this event please email me LunarMeteoriteHunter@gmail.com ; please answer the questions below in red. Thank you! I was at the drive in theater in Elmira, New York on the night of June 25th 2011, around 10:45 pm I saw an orange fiery ball shoot across the sky. It was amazing, the first time ive ever seen something like that. It was huge! Megan Thank you Megan! Edgerton, Wisconsin arrived from google.com on "Latest Worldwide Meteor/Meteorite News: Wisconsin Iowa Large Meteor Fireball - Bolide 14APR2010" by searching for giant meteor evansville wi. Ithaca, New York arrived from google.com on "Latest Worldwide Meteor/Meteorite News" by searching for meteor in ithaca, 6.25. Hudson, Wisconsin arrived from google.com on "Latest Worldwide Meteor/Meteorite News" by searching for fireball in sky June 25 2011, 10 15 pm. Brooklyn, New York arrived from google.com on "Latest Worldwide Meteor/Meteorite News" by searching for Fireball June 25th. New Lenox, Illinois arrived from google.com on "Latest Worldwide Meteor/Meteorite News: Breaking News -MBIQ Indicates Midwest USA - IL, IA, MO, IN, MN Large Meteor 2JUN2100" by searching for Illinois glowing orange fireball june 25 2011. New Baltimore, Michigan arrived from google.com on "Latest Worldwide Meteor/Meteorite News" by searching for meteor in sky 6-25-11. Start and Stop location in sky?